As humans, we make mistakes – often as a result of too many details to manage. For salespeople, this is familiar as they navigate intricate processes. Between the Qualification and Discovery stages that uncover customer pain points and aligning solutions and requirements in the Design and Configuration stages, sales doesn’t have a foolproof method for delivering the right solutions in proposals and scope of works (SOW). Even with a list of questions in the Qualification and Discovery stages, salespeople unknowingly omit pertinent qualifiers that dictate the solution path. Often this is because there is no clear distinction of the right questions. Given the process sets the foundation for Design and Configuration, engineers may waste hours researching, designing, and providing quotes for solutions that aren’t the right fit. What’s the full impact of poor Qualification, Discovery, Design, and Configuration on the proposal and SOW? 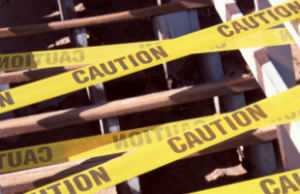 Holes in the Design and Configuration stages that cause these issues may not come to light until it’s too late. As an intertwined process, the proposal, SOW, and entire operation from deal to solution delivery must be seamless. A single gap can lead to a disastrous snowball effect after the sale and erode margins. Without proposing appropriate solutions based on actual pain points, the configuration of labor or other specific requirements won’t be correct. Plus, expectations of what the solution includes and what it doesn’t won’t be clear. All leading right back to scope creep. Hiring a team of seasoned sales professionals and engineers isn’t enough to evade missteps and guarantee smooth design and configuration. Instead, organizations should adopt pre-sales automation with workflows and rules. This best practice removes human error by providing a library of questions that integrate in the proposal and SOW. Using automation ensures the inclusion of all requirements, leading to the design and configuration of solutions that solve actual customer problems. By incorporating automation, sales can complete a discovery flow that asks more detailed and complex questions based on the answers provided by the customer. This way, the customer gets exactly what they need, all with competitive pricing. Background: The customer has 100 employees, but not everyone needs the dialer feature. After asking questions and uncovering the background information, the sales person makes an adjustment to only bill for a certain set of hours. The change initiates a prompt asking questions about the required media. Workflows and rules then ensure the proposal, SOW, engineering request, and any outputs that feed into the CRM, order management documents, and information sent to operations reflect the changes. The “smart process” has safeguarded the project from holes, and guarantees that every department involved has the same information. 99% of companies do some kind of Discovery and Qualification. Unfortunately, it’s often a haphazard process pieced together using different tools. Mistakes resulting from this range from major oversights, like leaving out a contact center from the Design and Configuration stages, to forgetting one-off items such as patch cords. While the smaller oversights tend to be inexpensive, it adds up over time and makes technicians seem unprepared. With CorsPro’s SalesDoc Architect (SDA), organizations have a solution to problems big and small that stem from incomplete Design and Configuration processes. While other solutions may claim to automate, SDA does so through the entire sales process — and in one place. Information has a purpose – While other solutions may have a list of Discovery questions, SDA’s library tailors to the individual needs of an organization. Even better, automation ensures answers flow to sales engineers, and integrate all the way from the proposal into implementation. Quality customer care is foremost – Automation flows send greater levels of detail to outputs and documents that end up in customers’ hands. With highly customized proposals, sales can instill trust, resulting in more business and larger accounts over time. There are no assumptions – Using detailed outputs, SOWs include information that will hold customers responsible after the sale. For example, if a customer mentions they recently upgraded their network and don’t plan on future investments, there is an option to place a standard note in the SOW to inform the customer of any potential ramifications. Includes all necessary details – SDA can auto-configure based on a manufacturer’s solution. By importing the solution information, the software can automatically configure a peripheral solution based on part numbers or on an attribute level. For example, if SDA detects a certain data switch as part of the design, it will include any necessary add-on items or labor hours in the quote. Most importantly, at CorsPro we understand that it isn’t just about automating a cookie-cutter process, there must be a higher level of sophistication. That’s why we designed SDA to be flexible enough that sales organizations can dynamically add in content. With SDA, changes to include additional labor hours won’t cause a snowball effect of mistakes. Instead, the alteration will flow downstream to operations for individualized proposals. If you’re ready to make the Design and Configuration process iron-clad, we’re here to help. 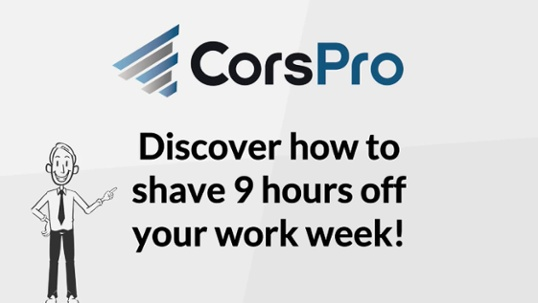 Learn more about how automation can improve your business by watching our 2-minute video, Discover how to Shave 9 Hours Off Your Work Week.